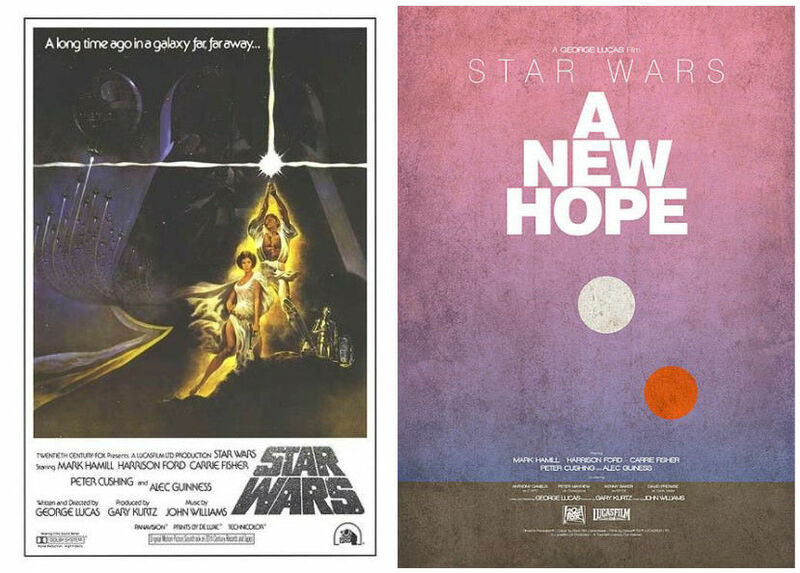 There might be more than a few graphic artists losing their jobs once people see these amazing minimalist designs that fans have made to replace the original movie posters! 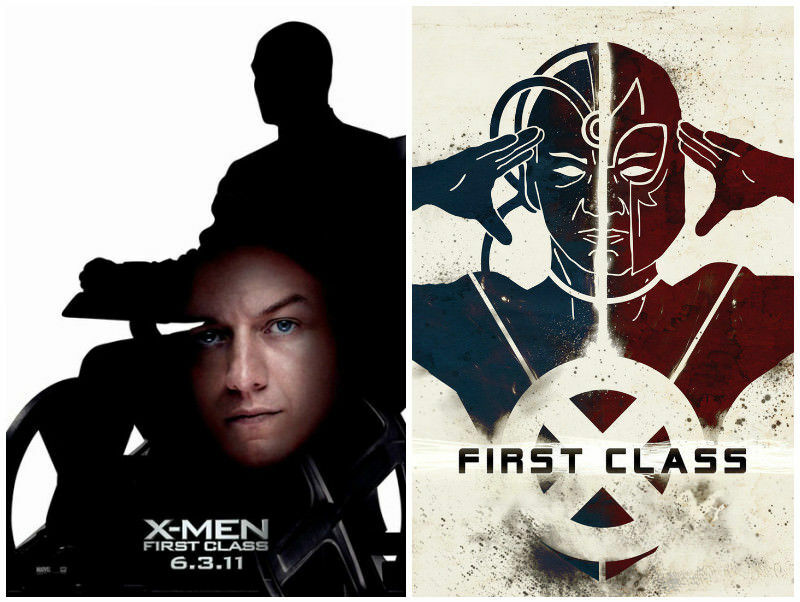 The original poster (on the left) looked as if it could have been designed by a twelve-year-old, with James McAvoy’s gigantic face poorly superimposed onto the crotch of a silhouette. 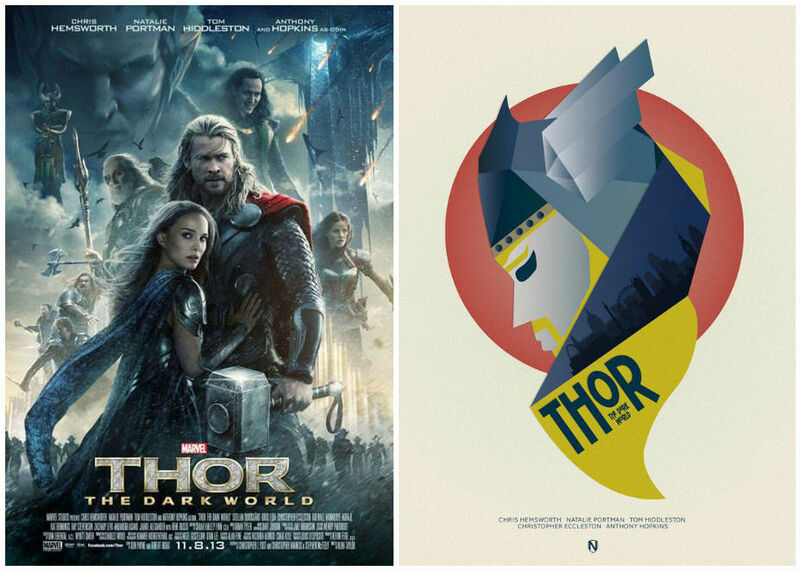 The fan-made minimalist poster (right) has a much more futuristic feel. 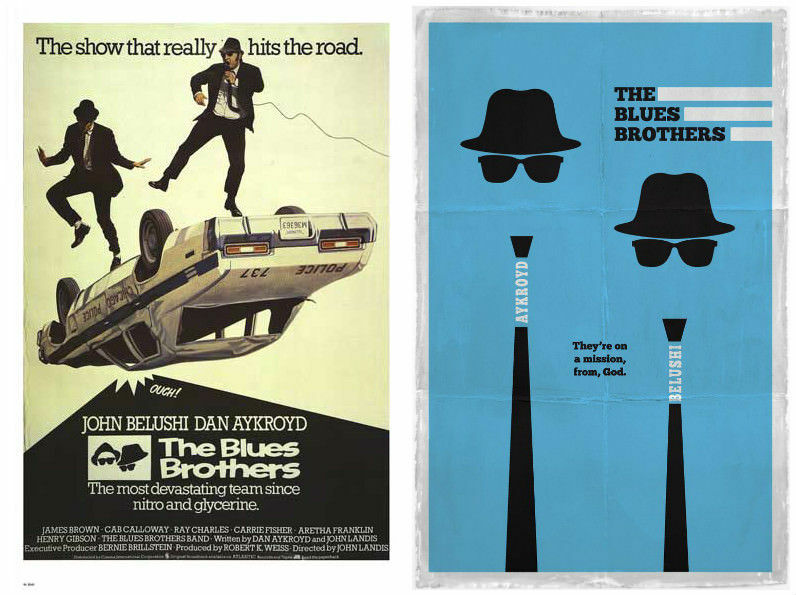 The Blues Brothers poster from the 1980 movie looks a little dated and cheesy, with a police car that appears to be in pain. The new design has a much slicker, bluesy feel with the actor’s names cleverly hidden in the ties. 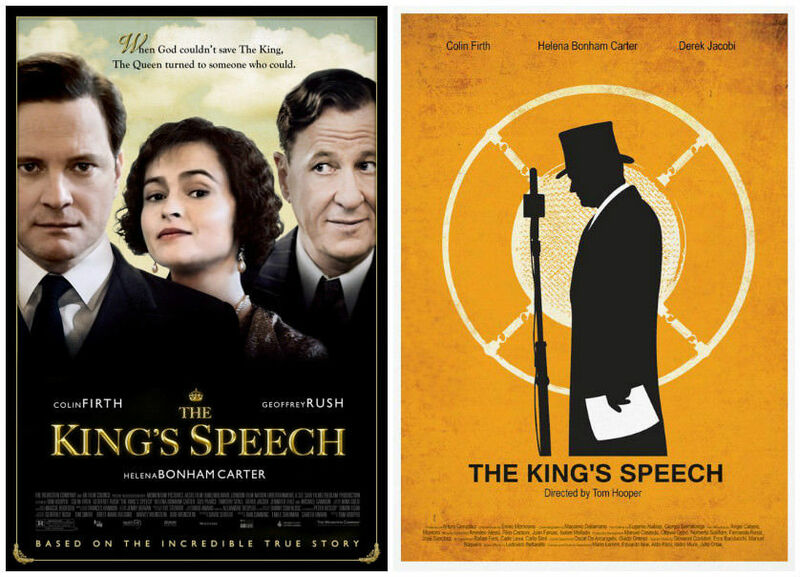 For an multi-Oscar-winning film, The King’s Speech has a movie poster that is less than exceptional. The minimalist design puts a modern twist on the historical true story, which is a great deal more attention-grabbing than a poor Photoshop job. 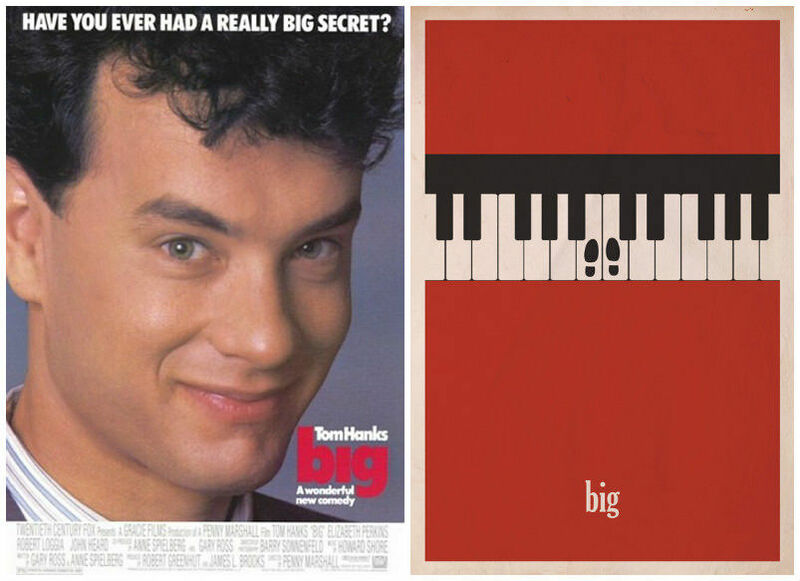 Tom Hanks may have a pretty face, but it doesn’t need to dominate the entire poster of the 1988 feature. The newer design is much more effective, taking the classic piano scene and making it the focal point of the movie’s artwork. 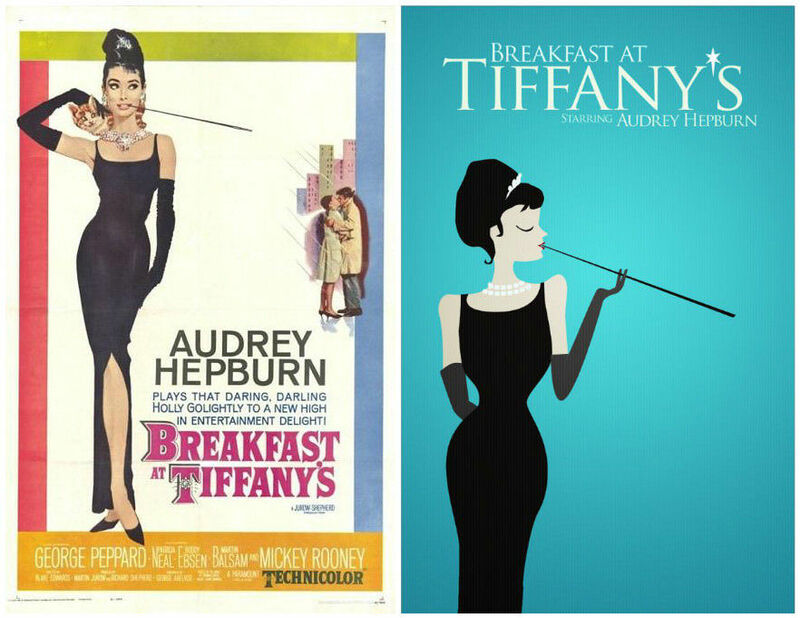 If school children in the late nineties were asked to design a movie poster using Microsoft clip-art, they’d probably come up with the Breakfast at Tiffany’s 1961 poster. The new design, while simplistic, manages to project a lot more glamour while still keeping the iconic image of Audrey Hepburn. 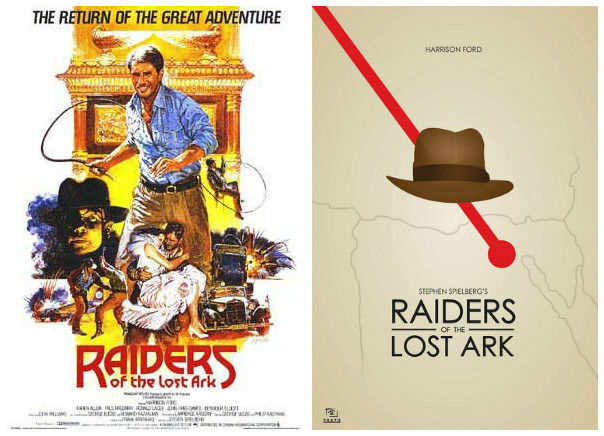 Don’t stare at the original ‘Raiders’ poster for too long because you may lose your eyesight! There’s just too much going on and the colours used are ghastly. The updated artwork proves that less is more, and that a simple image of a hat can spur more excitement than a blinding gold temple in the background ever could! It was a heart-wrenching film, but it was all ruined when they used a waxwork of Tom Hanks for the main movie poster. 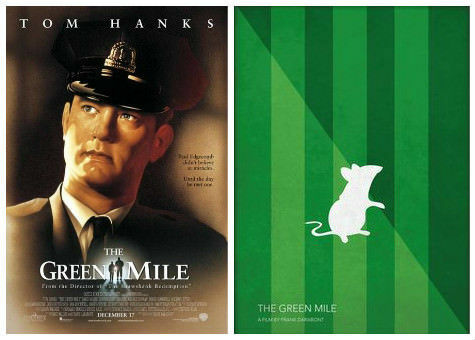 Apparently, Hanks was unavailable for the photoshoot at the time, but if the designers had any sense they would have taken a clue from this fan-made vision, who realised the Mr. Jingles was the real star of the fantasy crime drama. Bill Murray stuck inside an alarm clock is just too literal of a metaphor for being trapped in time. The extremely clever minimalist design takes letters from the title and transforms them into the numbers of a digital alarm clock, which is more befitting of the film. Squall234’s minimalist poster is such a simple concept, yet it describes the movie perfectly. 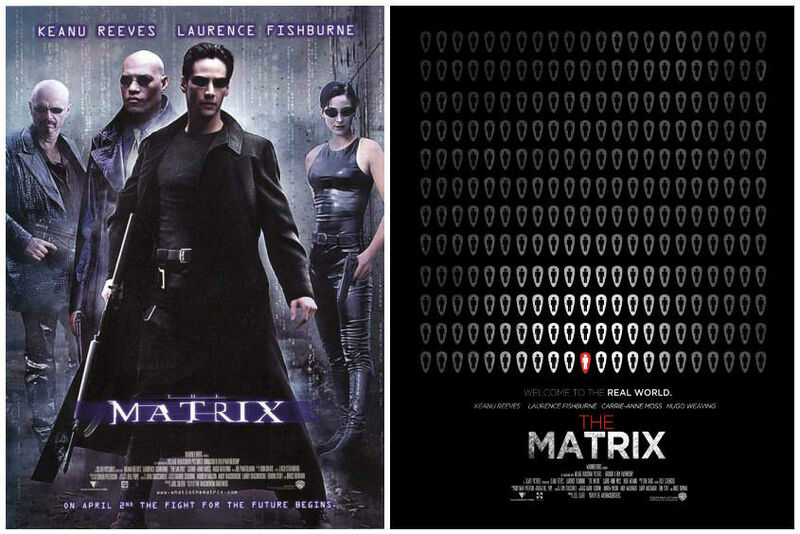 Including the ‘red pill’ aspect in the artwork is tons more powerful than the standard action poses in the original. Too many superhero movies are presented in the same way; there’s a dark and stormy backdrop, protagonists posing in the front, and a cluster of supporting actors fading in the background. The new take on the Thor sequel goes in a completely new direction, but it’s certainly one that is more noticeable and keeps the audience wondering. 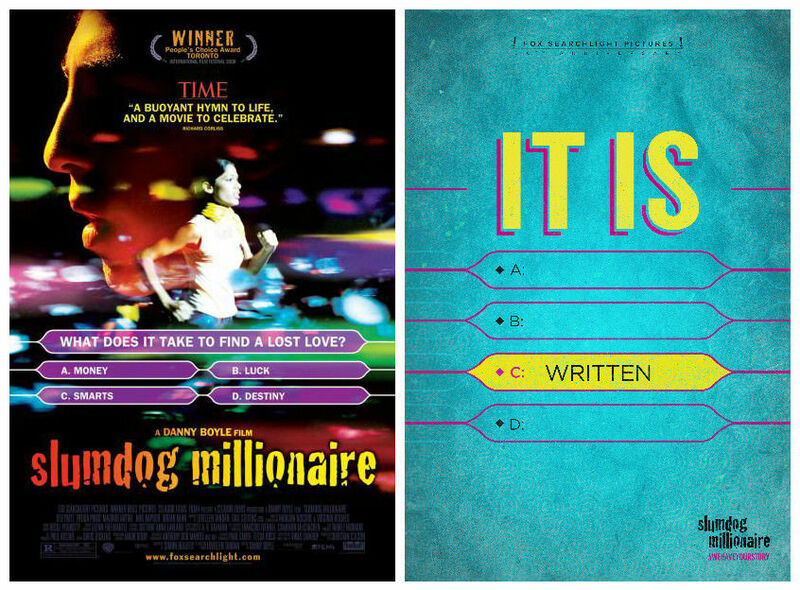 Slumdog Millionaire’s original poster looks way too cluttered and like it’s been pieced together from multiple designers at once. 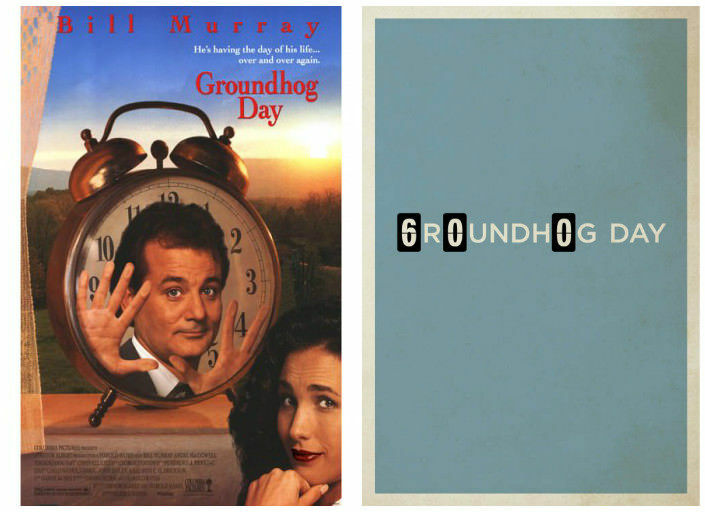 The minimalist poster is solid and smoother, intelligently placing the film’s slogan into the design. 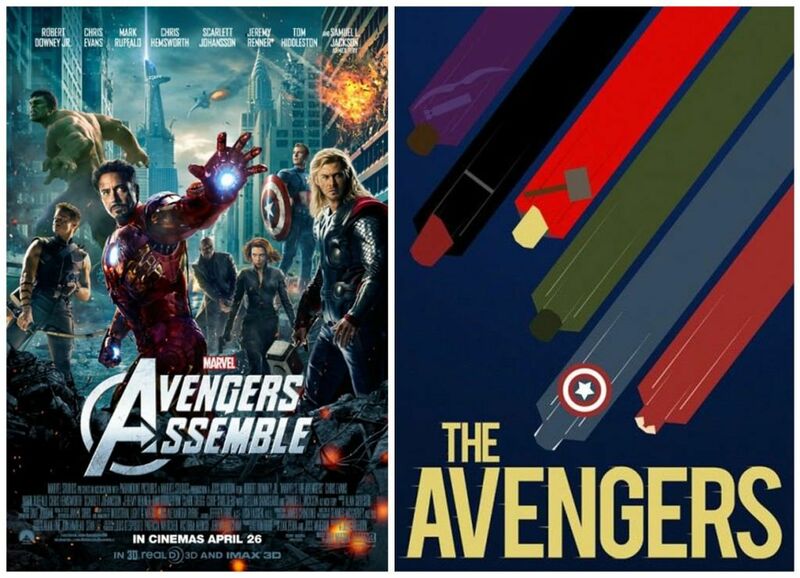 The Avengers was a smash-hit movie, so are the characters on the poster completely different sizes to one another? The new art print by Renduh shows that minimalism is the way to go, as it’s easy to recognize each hero by simple colours and shapes. 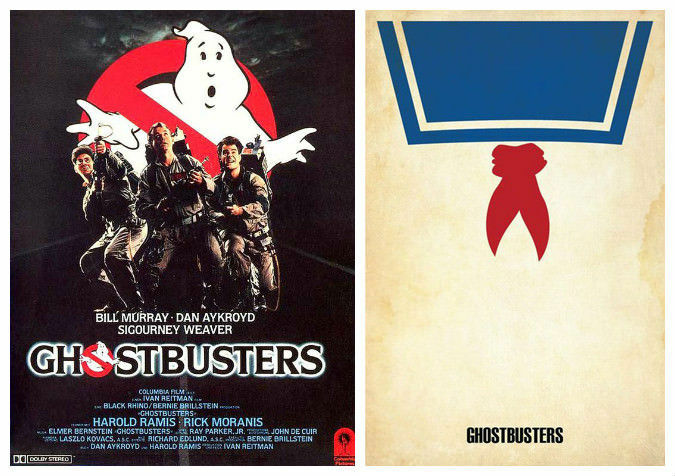 If there’s something new on the movie screen, who you gonna call? Whoever designed this impressive poster which captivates what the movie is really about – the Stay Puft marshmallow dude. 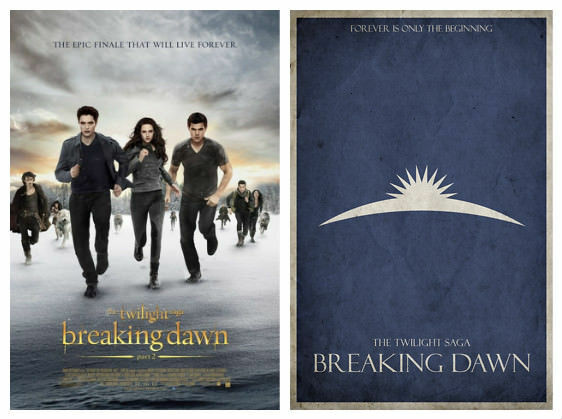 If Breaking Dawn was advertised with this simplistic blue background and flashing light design, it might have gained a better rep. Instead, they chose to show us the main characters attempting to run in the feeblest way possible. And why is the guy on the left casually strolling along, while the rest are sprinting for their lives? Previous articleThis Man Gets Stuck In His 100k BMW – How Did He Come Out of It? Is It Right For A Singer’s Music To Be Released After They’ve Died? I Bet You Didn’t Know These 12 Junk Foods Were 100% Vegan! Who said meat-eaters have all the fun? This list of guilt-free vegan snacks prove that it's easier than you think to go green! If Friends Was Set in 2015, Who Would Play Who? Man Buys His Dad A Car And His Reaction Will Have You In Tears! There are going to be more Avatar movies and here is what you need to know about them. 15 Important Life Lessons We Learned at School That The Teachers Never Taught Us! We may not have all taken the same classes, but everybody who went to school in the 21st century learned these valuable lessons! 10 Simplest Natural Cleaning Products You Can Make At Home Yourself! #5 Is AMAZING! Why not make your own, from cheap, sustainable natural products? Here are 10 ideas to get you in the mood for a good spring clean at home! Smartwatch Uses Amazon’s Incredible Alexa Computer To Give You All The Answers – I Want this Watch! For those of you who don't know, Amazon Alexa is what comes in the Amazon Echo which will arguably revolutionise how we control our homes in the future. Check out the video below for more!